The Mini. What can you say that hasn't been said? I remember doing reverse donuts in one of mine in the back yard. Brilliant and loads of fun. 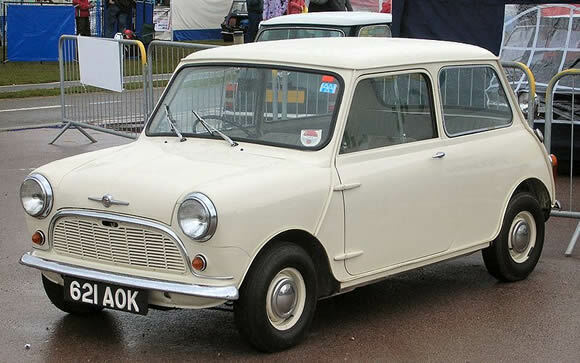 Wikipedia tells me that the Mini was voted the second most influential car of the century in 1999 behind the Ford Model T. Cool. Cooper S version's are one of the winning-est cars ever built, a highlight must be Mini winning the Monte Carlo four times, and one of the most modified. A great example of beautiful motoring especially in the Italian Job. Great info here and the greatest car chase scene ever here. Thanks Si. That link went to a Lacrosse page though. Here is the short version of the video from Mini's Youtube channel.